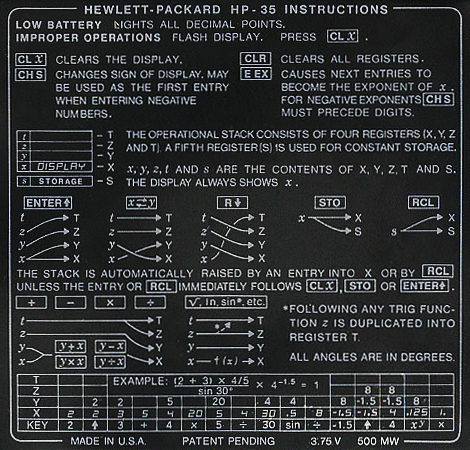 RPN-35 SD is a photo-realistic simulation of Hewlett-Packard's break-through scientific hand-held calculator. On January 4, 1972, Hewlett-Packard announced the HP-35, world's first scientific calculator small enough to fit in a pocket - more precisely, Bill Hewlett's shirt-pocket. 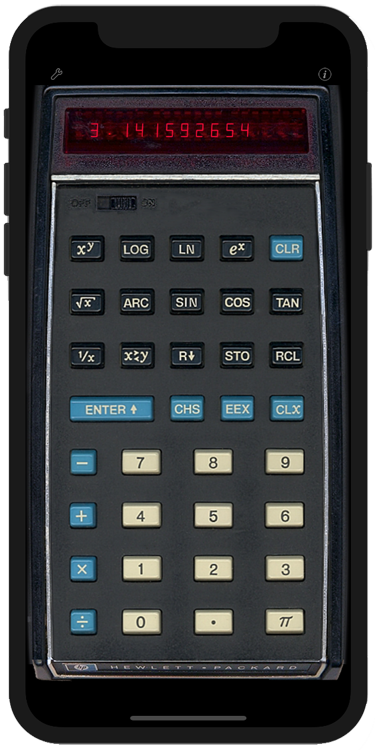 The HP-35 was an immediate hit with students, engineers, and scientists. Despite its steep price of $395 (more than $2,200 today), it sold ten times better than anticipated in the first year. It was discontinued in 1975. Invisible Buttons: If the Settings and Information buttons are distracting, you may hide them. They still work if you tap at the correct position. Alternatively, double-tap the display to open the Settings screen. Sound Volume: select desired volume of key click. In Vintage Mode, the settings button (wrench) is shown in blue. 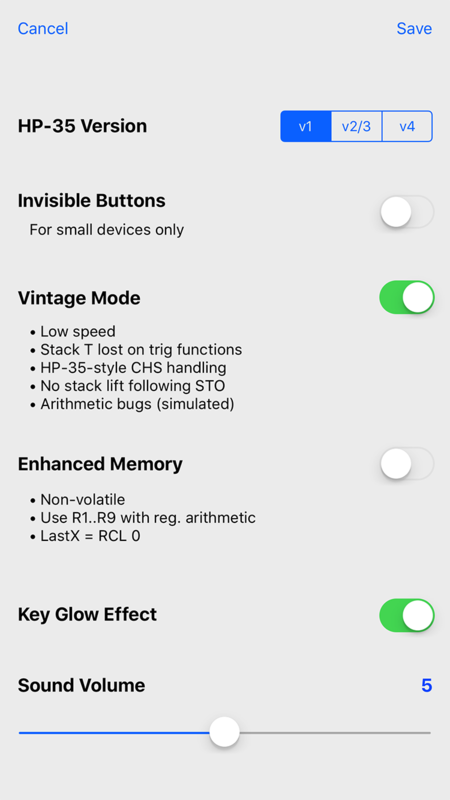 In this mode, available only if Vintage Mode is off, RPN-35 SD provides advanced register handling.